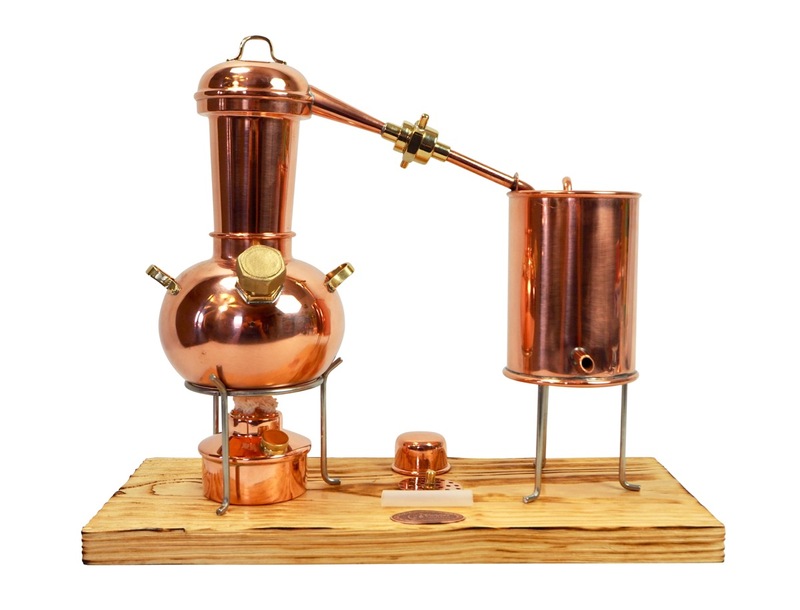 What about distilling schnapps at home? 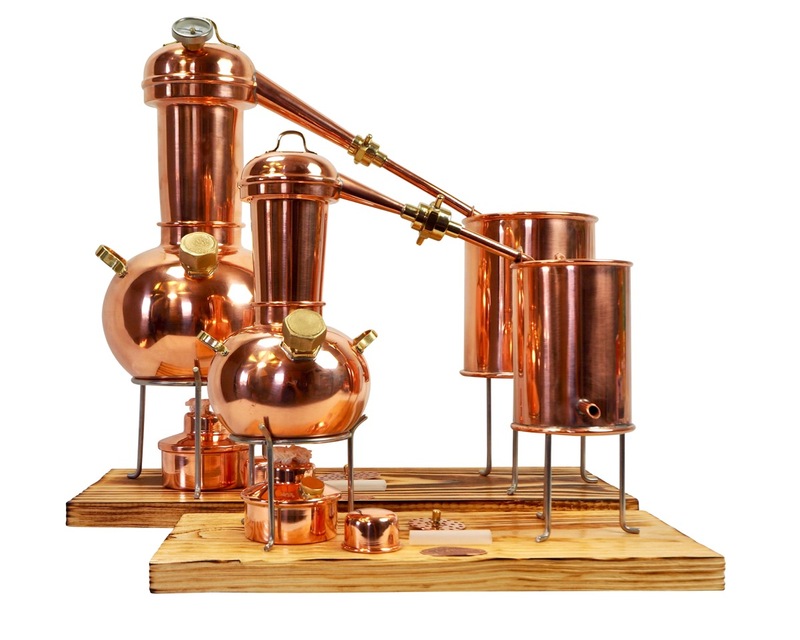 With this really versatile "CopperGarden®" still it is downright uncomplicated. We can recommend this very versatile hobby still from the CopperGarden® forge without hesitation. 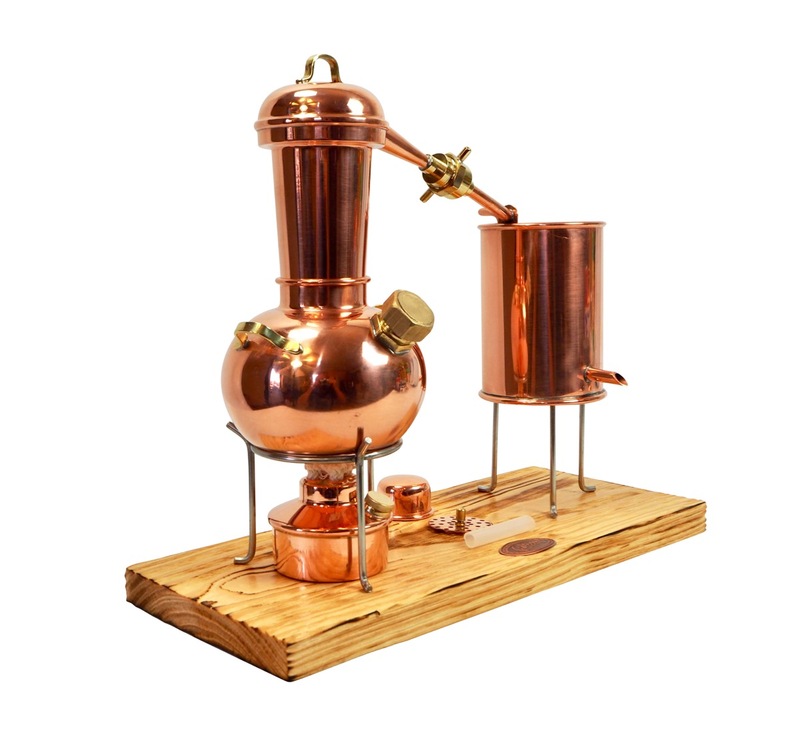 The still is not only nice to look at, but it also offers many features which are usually only found in significantly larger stills. 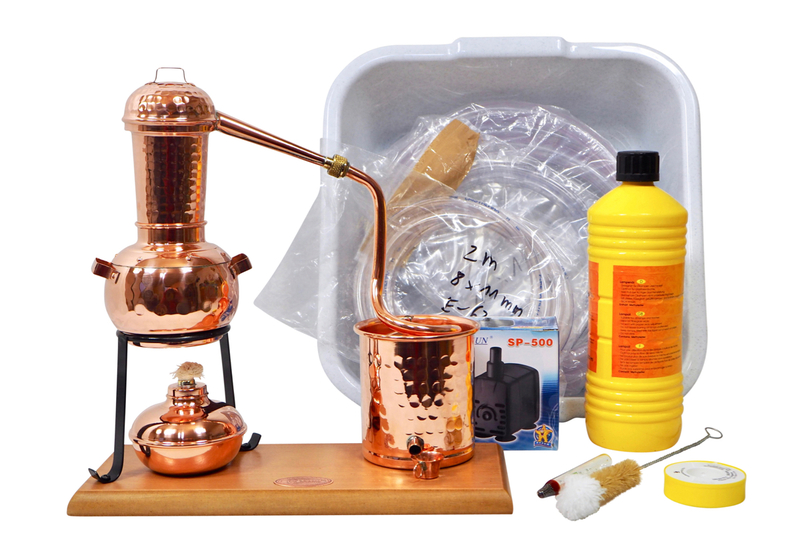 With slight deviations from the pictures there are also some improvements and changes in the new range. 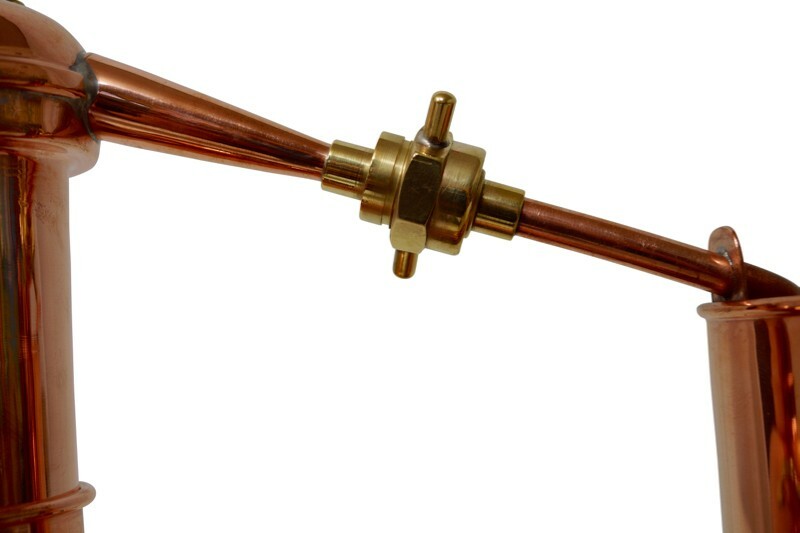 The junction at the swan neck and the condenser is screwed, which ensures a safe connection between the condenser and the still. 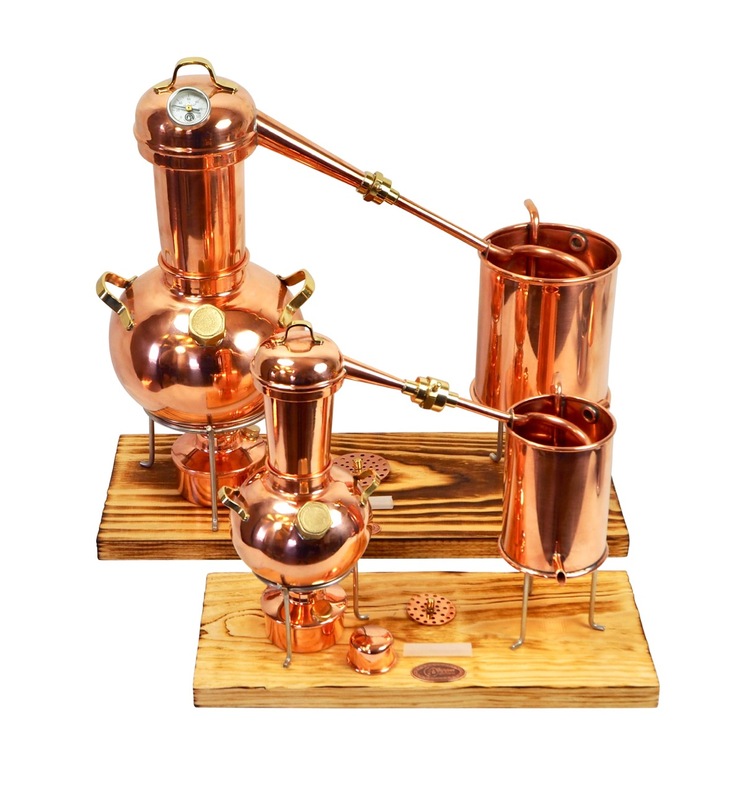 On the condenser itself there is a cool water intake, which enables you to attach a proper cool water circulation system and provide constant cooling during lengthy distillation. 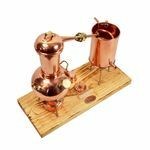 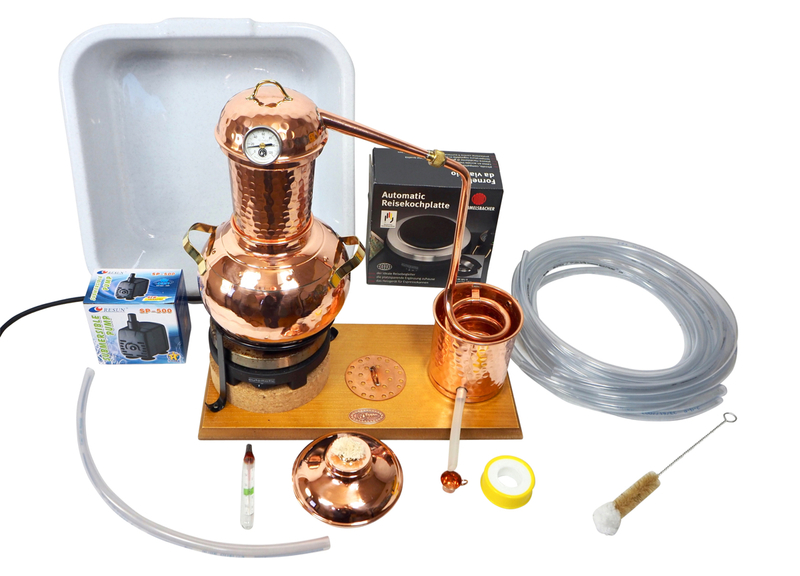 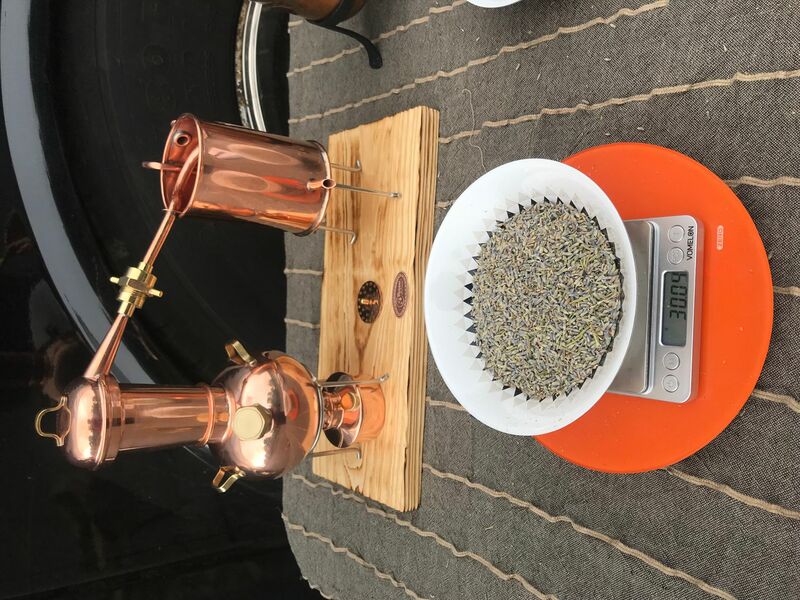 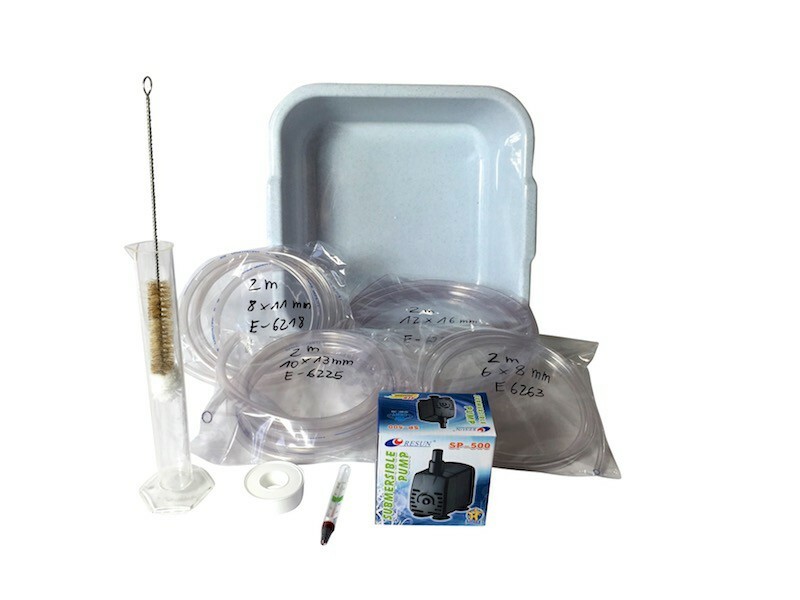 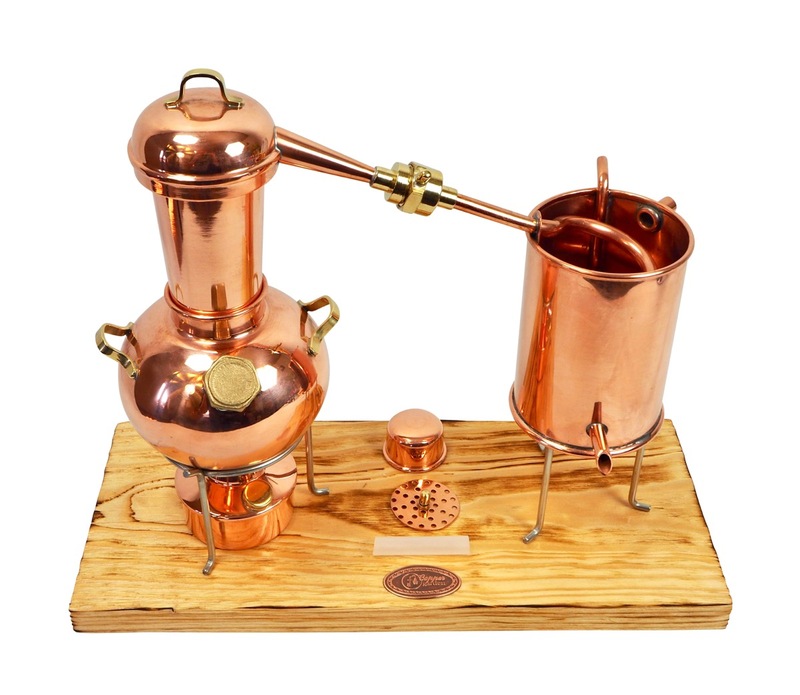 All in all, this hobby still is well-designed and is sure to be a pleasure to use for many years, even for frequent distilling. 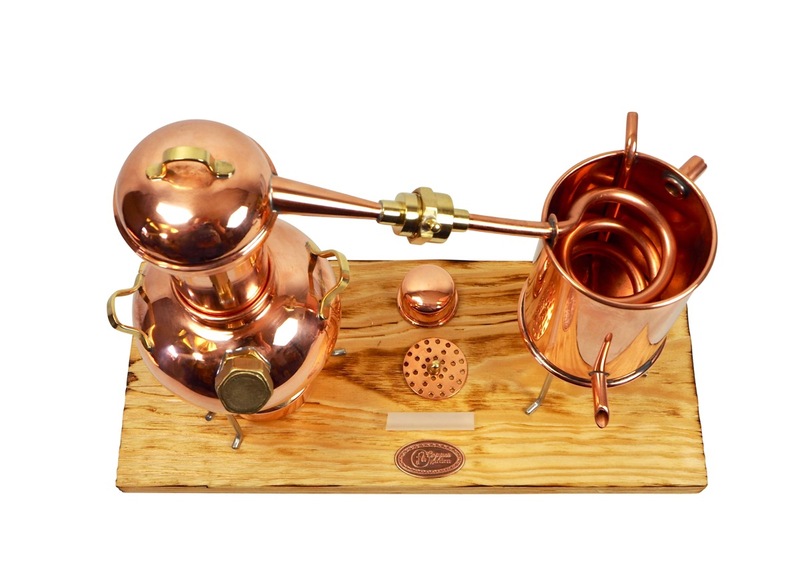 The pictures speak for themselves – note the excellent workmanship of this hobby still. 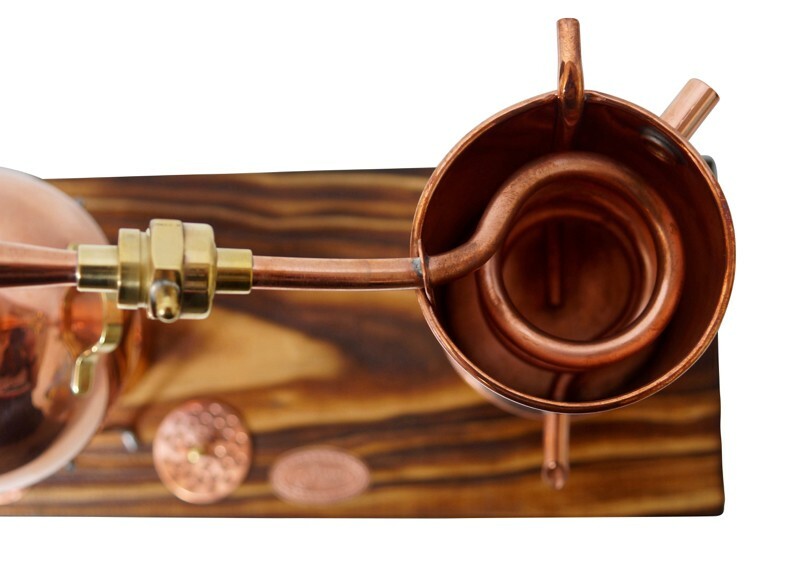 A small copper sieve hangs inside the high Arabian head, so that the head can be filled with herbs or spices, as desired. 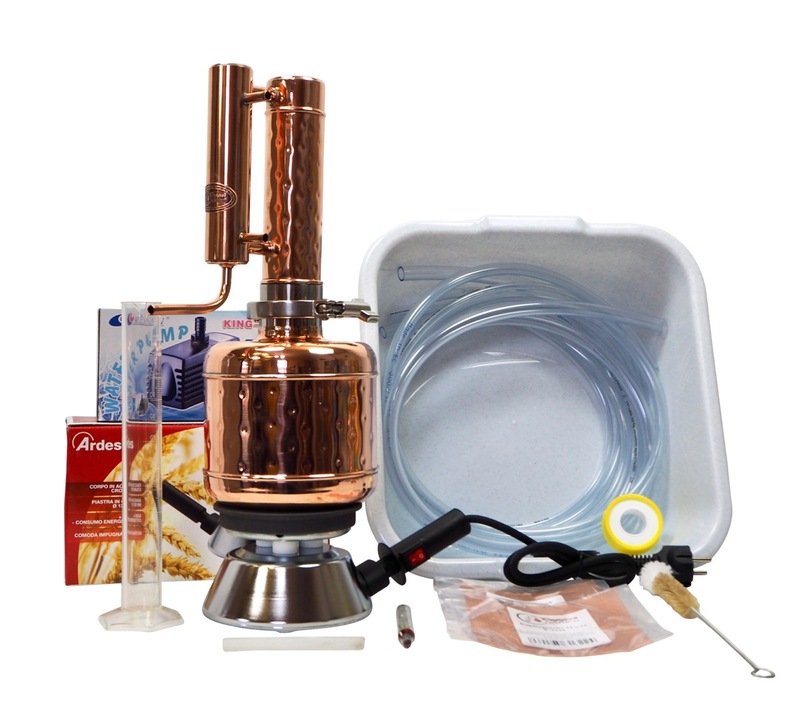 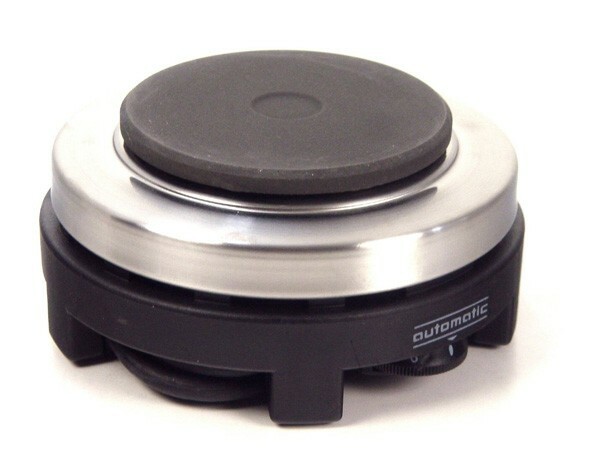 That is ideal for those quickly conjured up, surprise drinks. 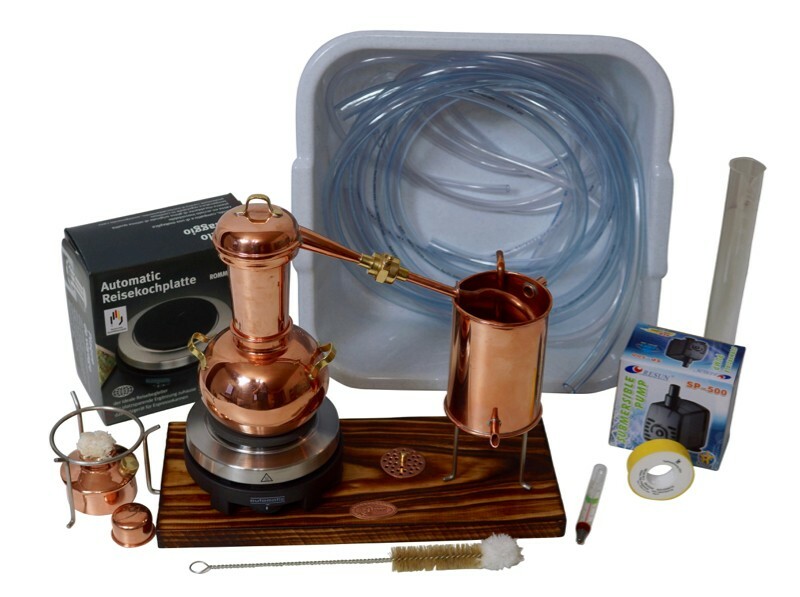 It is possible in the shortest time to distil your own schnapps and to have a lot of fun at the same time! 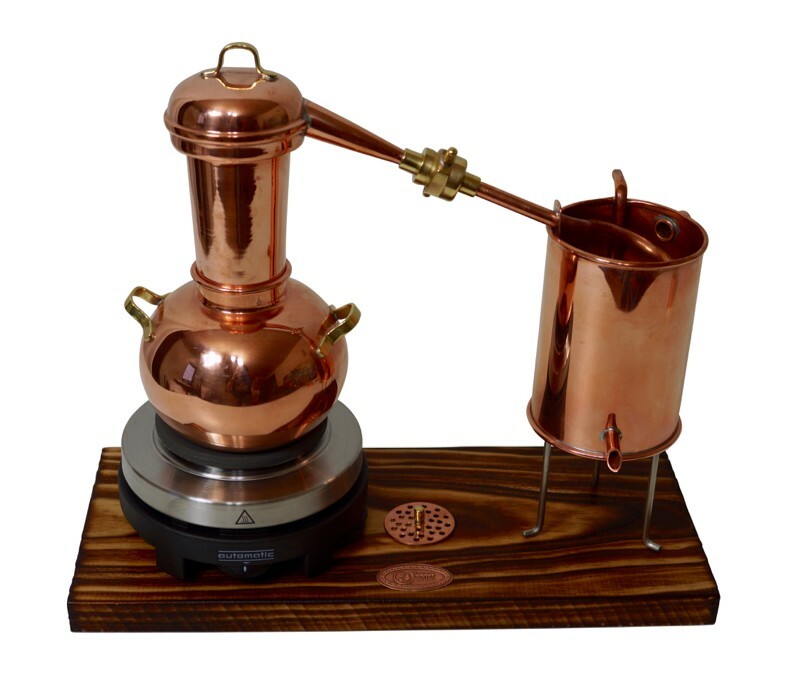 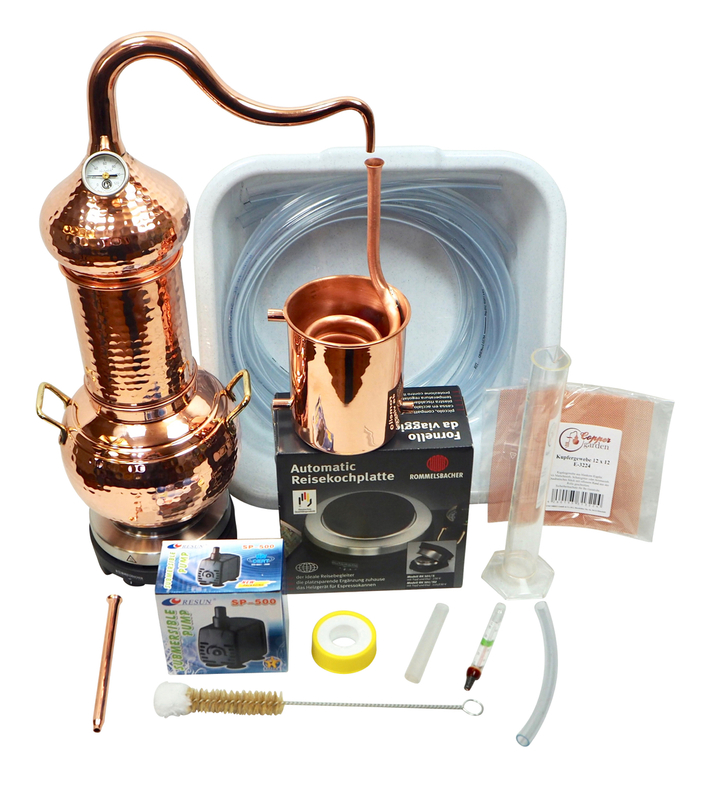 The tried and tested 0,5 Liter Arabia still lifetime supreme – very versatile!